A pipe flange is disc, collar or ring that attaches to pipe with the purpose of providing increased support for strength, blocking off a pipeline or implementing the attachment of more items. 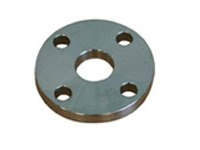 Pipe flanges are usually welded or screwed to the pipe end and are connected with bolts. A gasket is inserted between the two mating flanges to provide a tighter seal. Pipe flanges are either custom with dimensions provided by the customer or they are manufactured according to published specifications. Several organizations and associations have published specifications that provide dimensional information as well as pressure specifications at different temperatures. 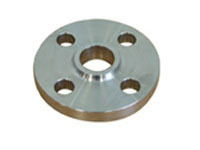 FLOWSPEC manufactures custom flanges and stocks 6 basic types of pipe flanges. Although, these are the 6 most common types of pipe flanges, FLOWSPEC flange is a custom flange manufacturer as well and is able to create just about any type of flange necessary for your requirements. ANSI B16.1, ANSI/ASME/ASA B16.47- A/B, ANSI/ASME/ASA B16.5, DIN2527, DIN2573, DIN2576, DIN2577, DIN2501, DIN2543, DIN2544, DIN2545, DIN2565, DIN2566, DIN86030, DIN86044, DIN2631, DIN2632, DIN2633, DIN2634, DIN2635, DIN2636, DIN2637, DIN2641, DIN2642, UNI2276, UNI2277, UNI2278, UNI6083, UNI6084, UNI2280, UNI2281, UNI2282, UNI2283, UNI2284, UNI2253, UNI2254, UNI6091, UNI6092, UNI6093, UNI6094, UNI6095, UNI6088, UNI6089, UNI6090, EN1092-1 TYPE 01/02/05/11/13, JIS B2220, KS B1503, BS4504, BS10 TABLE D/E, GOST12820-80/12821-80, SABS/SANS1123 and Non Code Industrial flanges for the Petrochemical, Shipbuilding, Power industry and Waterworks industries.